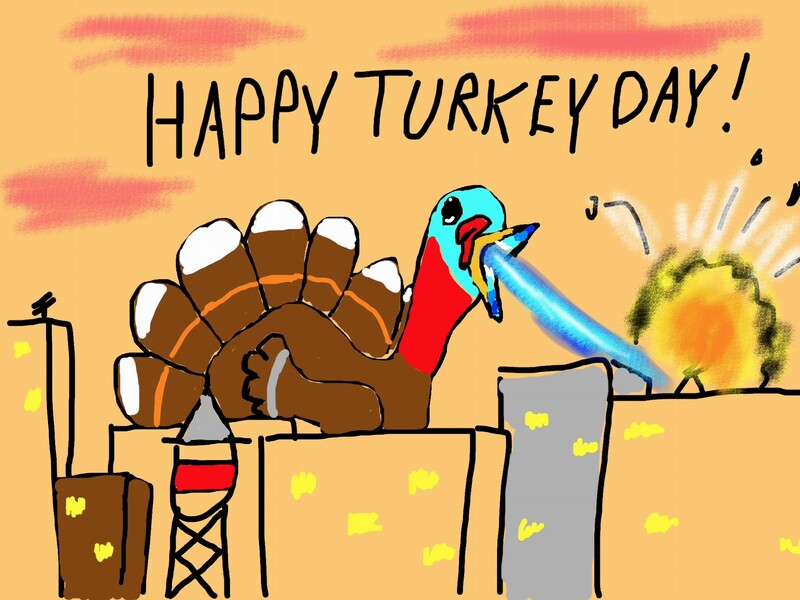 This entry was posted in Funny Section, Main Board, Nerd Section and tagged cartoon, explosion, fire, funny, Godzilla, hilarioius, humor, radioactive, thanksgiving, Turkey by underwhelmer. Bookmark the permalink. The pic made me smile! Hysterical. Love your blog name, too.